Today's card is all about neutrals and each time I use the First Edition Specialty paper, I feel the need to make it vintage. The card measures 5-1/4" x 5-1/4". The flower was made with the Blossom Punch and the greeting is from the Apothecary Art stamp set, each from the Occasions Mini catalog available until April 30th. 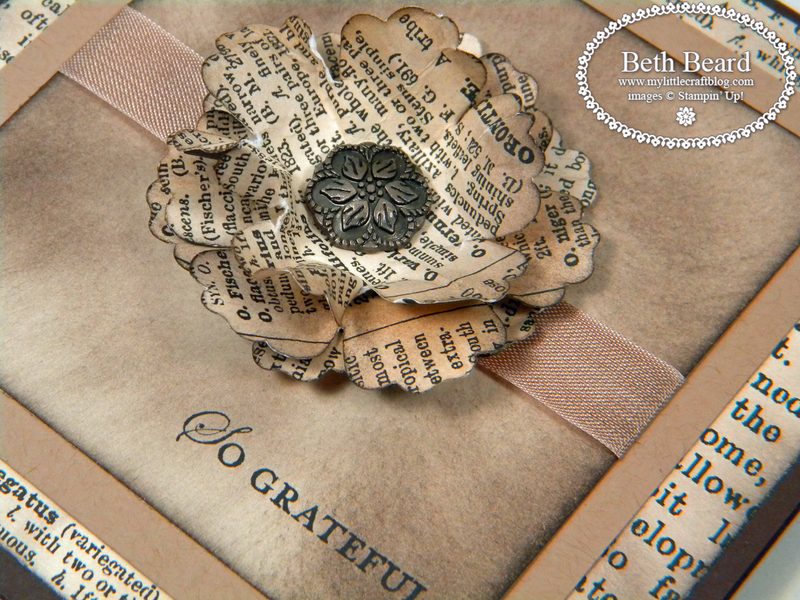 Such a wonderful old style vintage card Beth. The flower commands attention. So v v special.